Active Constituents: 100mg Praziquantel, 286mg Pyrantel Embonate and 1084mg Oxantel Embonate. 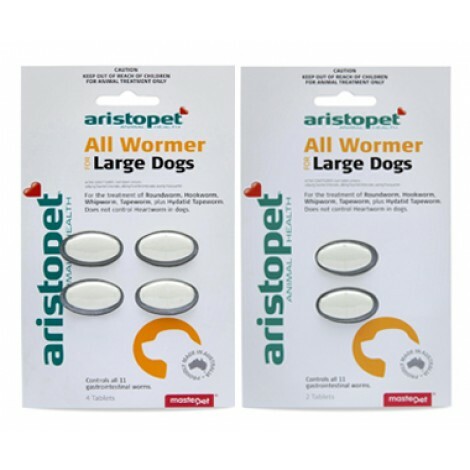 An all-wormer tablet that controls all 11 gastrointestinal worms in dogs and puppies. To ensure effective worm control, treat all dogs and cats in the household at the same time. Animals infested with worms are a continual source of reinfestation to other animals, and may be dangerous to your family.